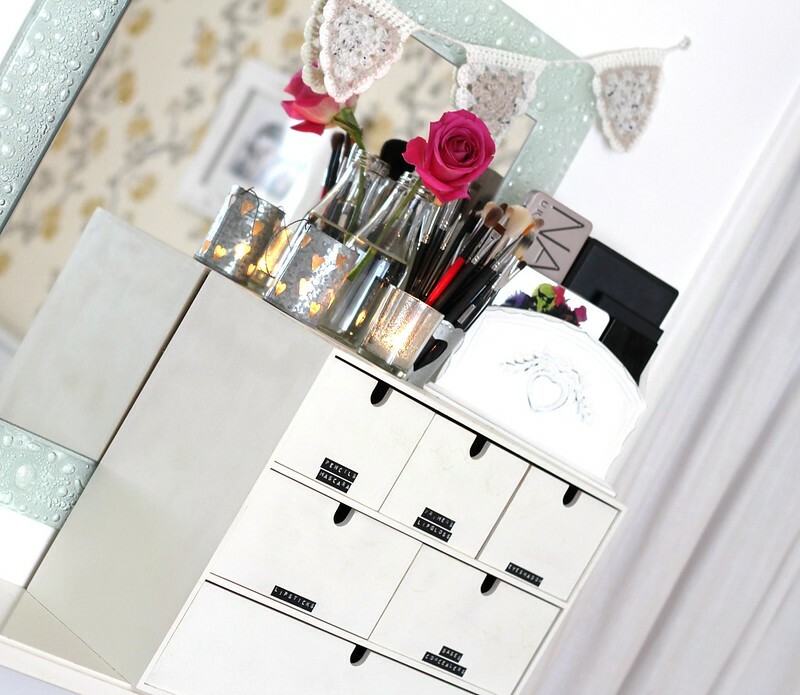 B U B B L E G A R M: New Makeup Storage! I love the wooden organiser you're storing your palettes in. Where's it from? 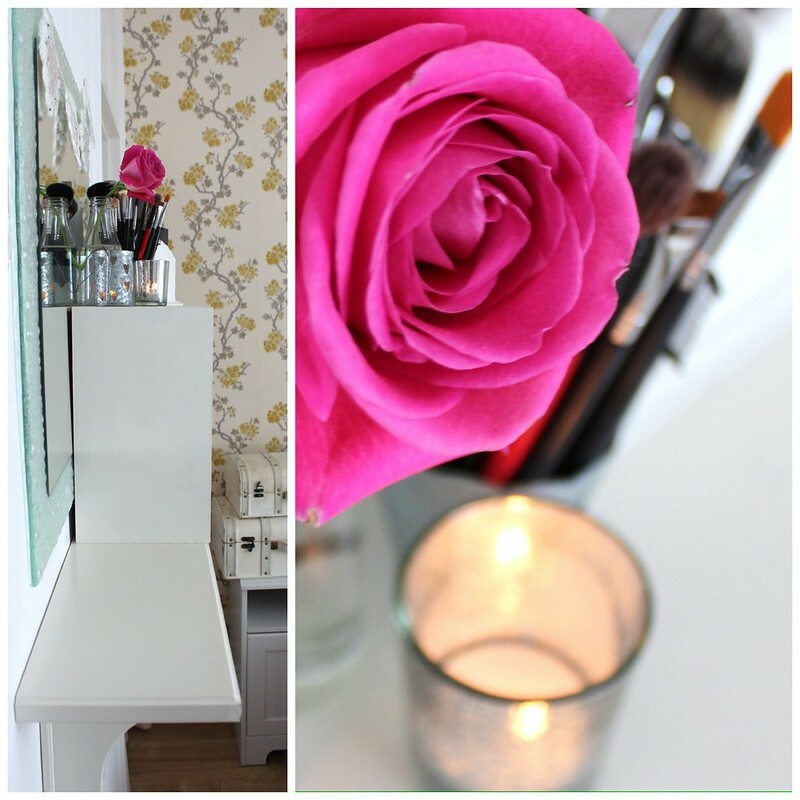 @computergirl thank you, I wouldlove a vanity/dressing table!! love your room!so pretty! 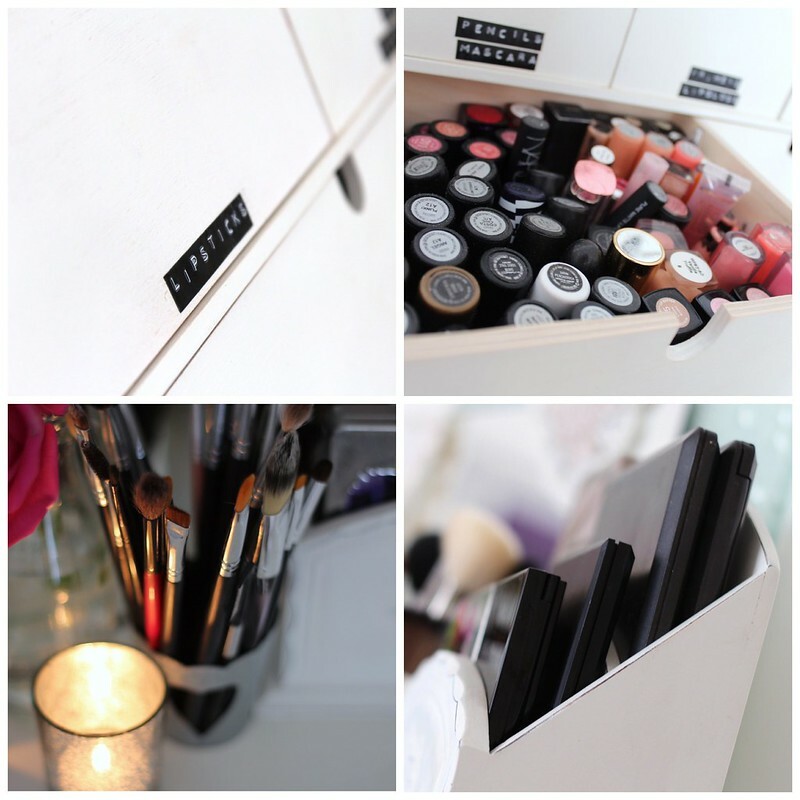 !I made yesterday a post about make up and accesorizes organization and I would love to visit it! That looks great. So neat and organized. I store mine in a 3 drawer plastic container. 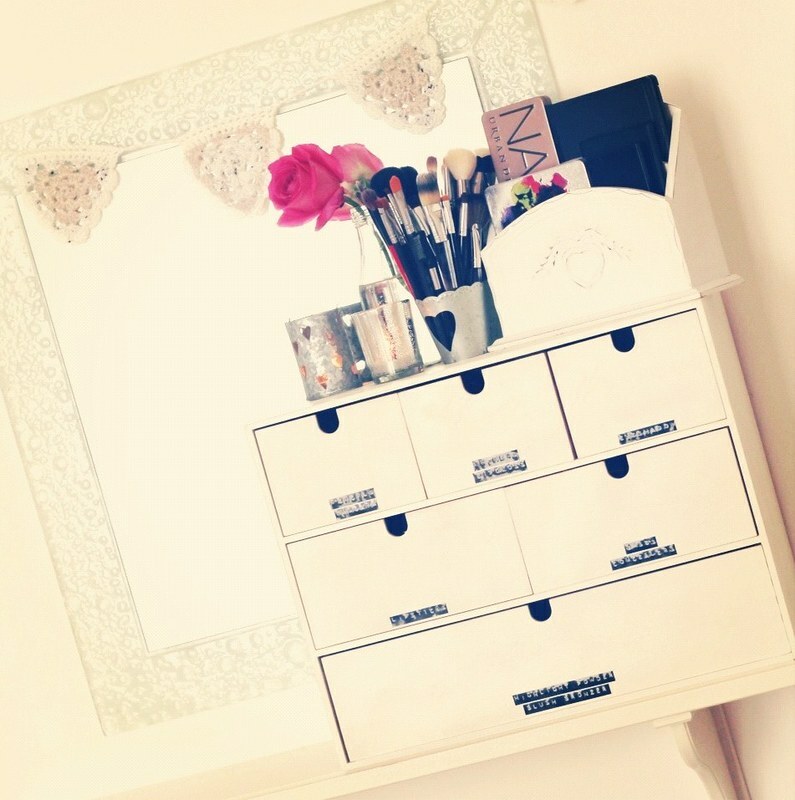 I am loving your new makeup storage, especially the idea of labelling the draws with a retro label maker :) LOVE. IT! I'm moving into my new university room in a couple of weeks and I can't wait to make it my own! 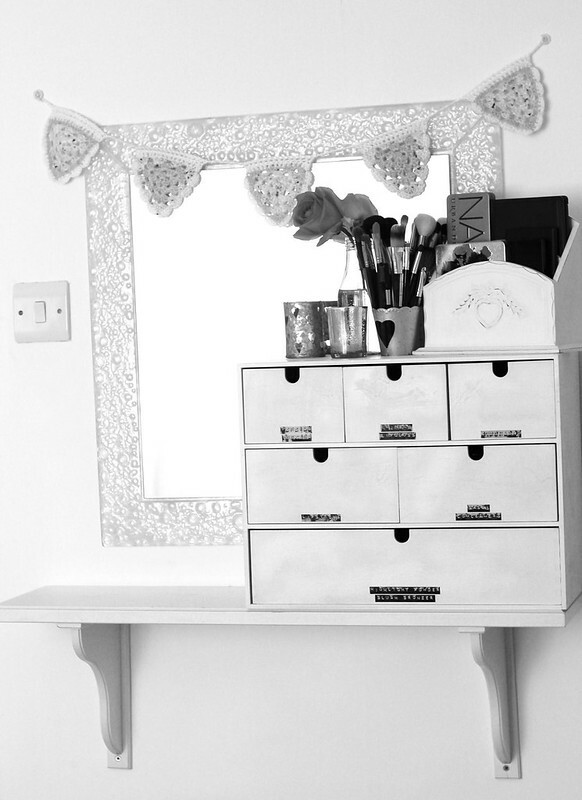 I love your new storage solution - the wooden drawers look so nice especially the way you distressed it like that! I love your take on the Ikea Moppe drawers. I need to figure out a better makeup storage solution. I might try the baskets because my muji containers just aren't working for me. Omg it's lovely! I'm literally about the move house so this will be perfect, amazing photos btw! omg this is amazing and so inspiring! cosmetics blogs are not my cup of tea, but i love yours pictures, im really big fan of them and i like the way how u decor yours place!!!! wow I love it! You are so creative! Beautiful! And so pracitical. 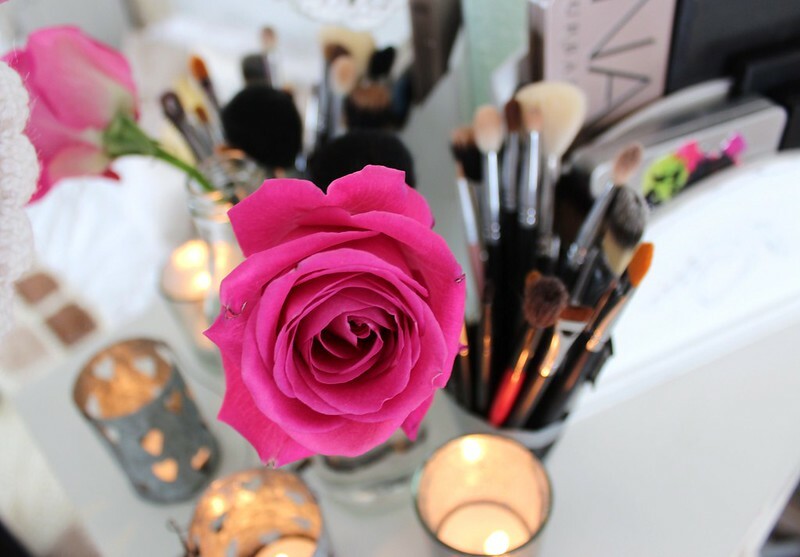 You are right, a simple rose can make such a difference and brighten up the space. 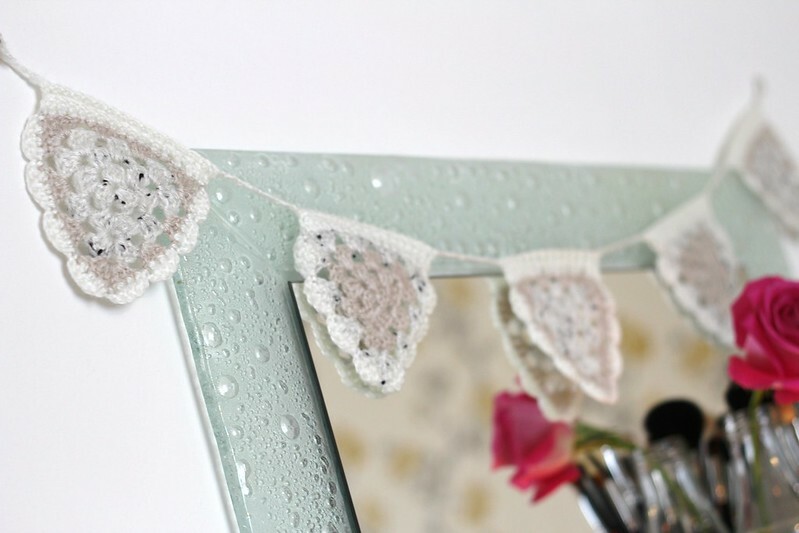 And the crocheted bunting is the icing on the cake. Love it! Is really original an beautiful. Congratulations! I really need to do something about storage of my makeup, its all over the place! Beautiful storage! I love the white colored wood look. Very nice. I love your attention to detail. 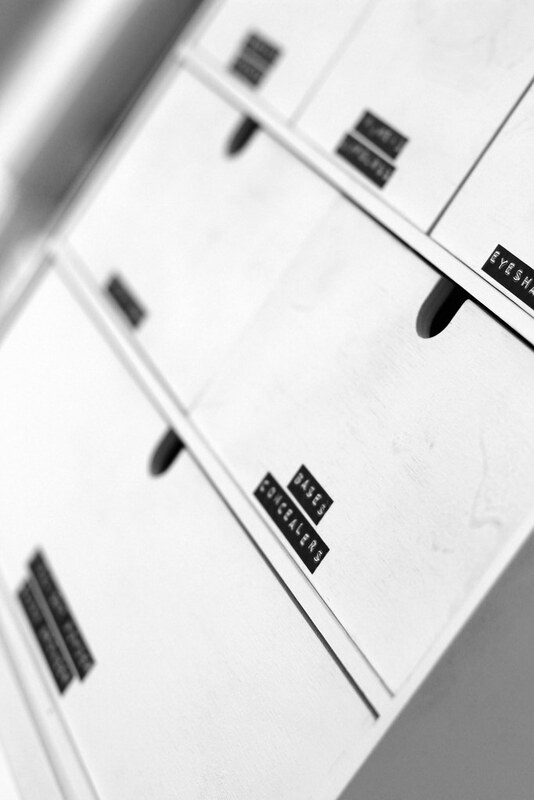 I hope you don't mind but I've bought a set of Moppe drawers which I am going to follow your lead on and customize, slightly differently from yours. Thanks so much for the idea. This is brilliant. I was also using the muji acrylic stuff but its looking cluttered and a bit mucky now, no matter how much I clean it! this has definitely inspired me! are you using for this wеbsite? I'm getting tired of Wordpress because I'vе had issuеs with hackeгs and I'm looking at alternatives for another platform. I would be fantastic if you could point me in the direction of a good platform.